Continuing its update streak this month, HMD Global has rolled out the Android 9 Pie update for its Nokia 3.1 Plus smartphone. The update is now available over-the-air (OTA) and will reach all Nokia 3.1 Plus owners over the next few days. 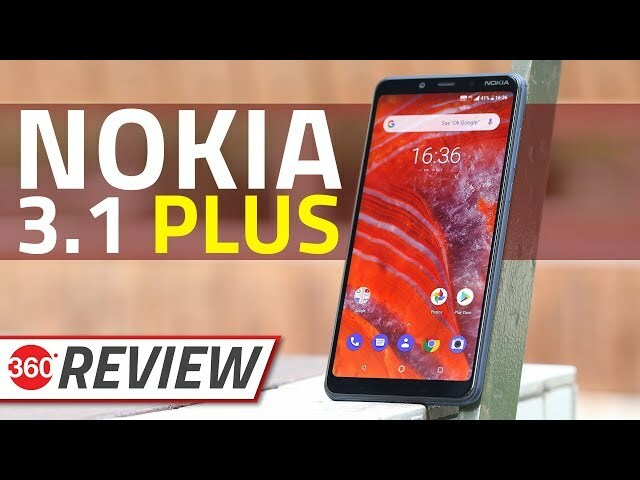 The Nokia 3.1 Plus update comes just days after the company had released the same update for Nokia 2.1 and Nokia 8 smartphones. HMD Global is now close to updating its entire lineup of smartphones to Android 9 Pie. HMD Global chief product officer Juho Sarvikas announcedthe arrival of the Android Pie update for Nokia 3.1 Plus on Twitter earlier today. As all the updates are released in batches, not everyone will receive the update immediately. As we mentioned earlier, it will take a few days for the update to reach all Nokia 3.1 Plus owners. If you don’t want to wait for the official update notification, you can head over to Settings > About Phone > Software updates to manually check for the update. The exact size of the Android Pie update is unclear at this point, however the Nokia 3.1 Plus update brings new system navigation, upgraded settings menu, and improvements to notifications. Additionally, you can expect to see Adaptive Battery, Adaptive Brightness, and Predictive App Actions. The update also includes the February security patch to the smartphone. To recall, the Nokia 3.1 Plus was introduced in October 2018. The phone sports a 6.1-inch HD+ (720×1440 pixels) IPS screen and is powered by octa-core MediaTek Helio P22 (MT6762) SoC. Among other specifications, the Nokia 3.1 Plus comes with 2GB/ 3GB of RAM, 16GB/ 32GB of inbuilt storage, and a microSD card slot (upto 400GB). In terms of the imaging capabilities, the phone packs a dual rear camera setup with a 13-megapixel primary sensor and a 5-megapixel secondary monochrome sensor. There is a 8-megapixel front shooter on the phone as well.